A large multi-purpose room on the ground floor has a stage at one end and is well-equipped with lighting and audio technology for various kinds of performances. As a theater, it seats between 260 and 300 people, said Ms. Galkevich. It also is rented to community groups for different functions. On the upper floors are offices and program rooms, some of which appear very modest in size. Some program space is empty, either awaiting funding for specific activities or available for rent to generate much-needed income. Ms. Galkevich stated that the JCC intends to open an upscale preschool, perhaps as early as September 2012 that would bring middle-class families into the building and produce tuition fees that would support both the preschool and certain other JCC activities. It already is operating a self-supporting ceramics studio and a ballet program. She would like to lease the café space to an independent operator who will operate a commercial cafe that is kosher and attractive. She has started to work on marketing three large rooms for commercial rental, she said, but acknowledged uncertainty about the potential success of her efforts; however, she understands that financial well-being of the facility and its programs is dependent upon securing income from such commercial ventures. When asked about the impact of the new building on Kharkiv Jewry, Ms. Galkevich listed several benefits that it offers to the community. First, it provides better operating conditions for both the hesed and the JCC in that it is located within walking distance of two metro stations and thus is accessible to every Jew in the city. Second, it is wheelchair-accessible so it is open to people of limited mobility. Third, she continued, it provides another "central address" (in addition to that of the synagogue, she noted) for the Jewish community, bringing welfare-dependent individuals in contact with the more able segment of the Jewish population; additionally, she commented, middle-class Jews now see the need for support of less fortunate Jews. Fourth, the JCC multi-purpose room/ theater provides a venue for performing artists. In response to a question about involvement of local Jews in planning and financing the structure, Ms. Galkevich responded that little local involvement occurred. Some local Jews lobbied the municipality for the site and several with significant business experience helped to evaluate construction bids that were received. These businessmen, she observed, knew most of the bidders and were aware of their reputations. However, no local Jews were significantly involved in planning the facility (which, as noted, appears heavily influenced by its St. Petersburg counterpart) or in fundraising, either as solicitors or as donors. To the writer, the facility seemed strangely empty with many rooms barren of furniture and program materials and equipment. Clearly, the JCC segment of the structure was underutilized, perhaps reflecting inadequate funding. 35. The Israel Culture Center, which had worked from another suite of offices in the same building in which JAFI offices were located, moved to a new commercial building near City Hall during the past year. Time constraints prevented a visit by the writer. The program of the Kharkiv ICC is similar to that of the Dnipropetrovsk ICC, although the more intense academic environment in Kharkiv prompts a greater emphasis on visits by Israel academics and other academic-related activity. Situated on both banks of the Dnipr River in the north central part of the country, the origins of Kyiv are lost in antiquity. The Ukrainian capital is, however, known as the “mother of all Russian cities,” long pre-dating cities in Russia itself. Kyivan Rus – the city and territories around it - is considered the forerunner of the modern Russian state. In 988, Prince Volodymyr of Kyiv designated Orthodox (Byzantine rite) Christianity as the state religion of Russia and established its seat in Kyiv. Kyivan Rus attained its greatest powers in the eleventh and twelfth centuries when it was a trading center between the Baltic and Mediterranean seas. Sacked by Mongols in 1240, the lands of Kyivan Rus were successively under Tatar, Lithuanian, and Polish control from the fourteenth century and then annexed by Russia in 1686. The third largest city in the Union of Soviet Socialist Republics, Kyiv was occupied and almost completely destroyed by German forces between September 1941 and November 1943. Now the capital of independent Ukraine, Kyiv is the political hub of the country and an important center of Ukrainian commerce, industry, culture, and education. Increasingly, prominent businessmen from other parts of the country are relocating to Kyiv in order to be close to government, national financial institutions, and other critical national organizations. It is as well a magnet for younger people wishing to build careers in post-Soviet Ukraine. The 2012 population of the city is approximately three million. Kyiv is a mix of old and new, but the Dnepr River is constant. 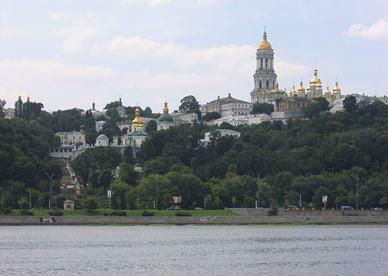 The Kyiv-Pechersk Lavra opened as a cave monastery on the west bank of the Dnepr in 1051; construction on its first actual building began in 1731. It is an active Orthodox Christian monastery today. In the lower photo, massive apartment blocks continue to rise on the lower-status east bank. /imgres?q=kiev+pictures&hl=en&sa= X&rlz=1T4GGRP_enUS503US503& biw=1611& biw=1611&bih=865&tbm=isch&prmd =imvns&tbnid=UgFAvjNyNl0WkM:&i mgrefurl=http://www.only-apartments. com/apartments-kiev.html. Both photos retrieved October 5, 2012. Estimates of the size of the Jewish population of Kyiv range from 25,000 to 50,000. Unlike many other large Jewish population centers in the post-Soviet states, Ukraine lacks unambiguous Jewish leadership. The chief rabbi of Kyiv, Rabbi Yaakov Dov Bleich, appears to spend more time outside the country than within its boundaries, and no other individual has emerged as a leader of Kyiv Jewry. The majority of Kyiv Jews remain aloof from organized Jewish activity. Although a small group of young adults is initiating several new Jewish ventures, the impact of their activity is yet to be measured. 36. The Orach Chaim day school (School #299), operating under the auspices of Rabbi Yaakov Dov Bleich, is the oldest of five Jewish day schools in Kyiv. It currently enrolls fewer than 200 pupils in grades one through 11, a significant decline from its peak enrollment of approximately 470. 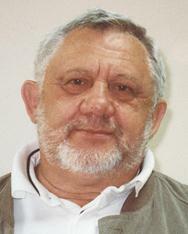 According to Khariton Gilgur, the veteran principal of the school, enrollment would surpass 470 and even exceed 500 if it were permitted to accept youngsters who are Jewish according to the Israel Law of Return, i.e., one Jewish grandparent, rather than be limited to pupils who are Jewish according to halacha (Jewish law; in this case, children of a Jewish mother). The low enrollment places a significant financial burden upon the school, said Mr. Gilgur, because the government provides economic support only for classes of 25 or more pupils; in the past, Mr. Gilgur continued, a sympathetic inspector aware of the situation decided on his own not to report the circumstances of School #299 enrollment. However, state regulations have changed recently so that future funding will be dispensed strictly on a per capita basis. After August 2012, Mr. Gilgur stated, the school will receive state support sufficient only for five classrooms; an additional $250,000 will be required to operate a full 11-grade school. As principal of School #299 - Orach Chaim, operating under the auspices of Rabbi Yaakov Dov Bleich - Khariton Gilgur has struggled for at least the last five years with declining enrollment, various religious restrictions, and deteriorating buildings. So dire is the school financial situation that Rabbi Bleich finally agreed to combine boys and girls in a single classroom in each of the lower grades, said Mr. Gilgur. However, the rabbi still requires separate classes and separate premises in middle school and high school, an arrangement that is not financially viable. Similarly, Mr. Gilgur continued, Rabbi Bleich maintains separate dormitories for boys and girls; whereas 60 youngsters from unstable families and/or from small towns once occupied these facilities, only 15 reside in them today. Thus, the Orach Chaim "system" operates four buildings - separate schools for boys and girls, and separate dormitories for boys and girls. (The preschool is located in the building of the boys' dormitory.) If Rabbi Bleich would agree, all operations could be consolidated into two buildings. Orach Chaim is failing to attract families, Mr. Gilgur said, for several reasons. First, the requirement that all pupils be halachically Jewish is unrealistic in a society in which the intermarriage rate is believed to exceed 80 percent. Second, the buildings are poorly maintained and unattractive. Third, the preponderance of pupils come from poor families attracted by free lunches, free bus transportation, an absence of drugs, an extended-day schedule, and a culture that does not require parents to bribe teachers. However, because many of these poor families also have problems, stronger families bypass the school. An additional 35 boys are enrolled in a related heder and 45 to 50 girls are enrolled in a machon modeled after Beis Yaakov schools. Eighty children attend an associated preschool. The heder is located in a new building adjacent to Rabbi Bleich's synagogue in Podil, the Beis Yaakov school is a section of the girls' day school, and preschool classes occupy part of an Orach Chaim dormitory building.